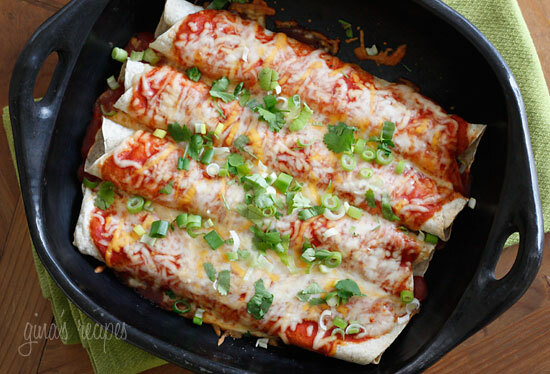 Cheesy vegetarian enchiladas filled with zucchini and cheese, topped with my homemade enchilada sauce –so delicious whether you’re vegetarian or not! 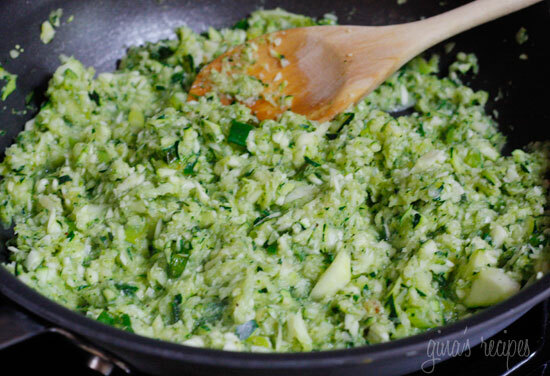 While zucchini is still in season, I’m sharing this recipe from the archives. You all know how much I love enchiladas, well these zucchini enchiladas are huge and filling, and one of my favorite meals in the summer. 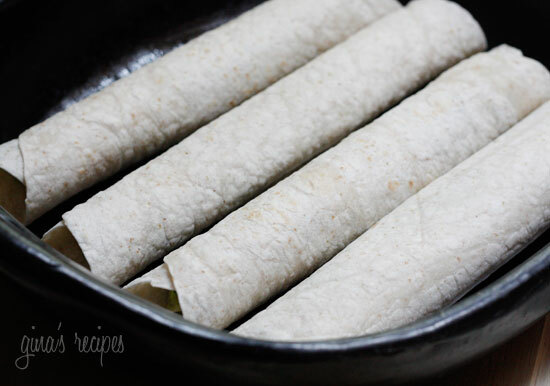 Perfect topped with chopped cilantro, scallions or jalapeños. 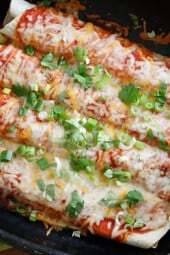 For more enchiladas recipes try; chicken enchiladas, chicken and white bean enchiladas with salsa verde, and turkey and black bean enchiladas. 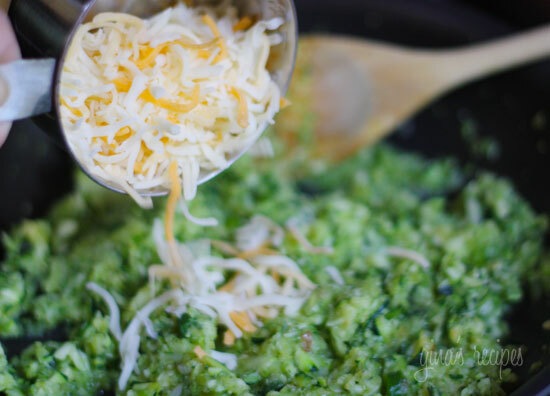 This meatless recipe is also a favorite, and since it has no meat I can splurge a little more on the cheese –yum! 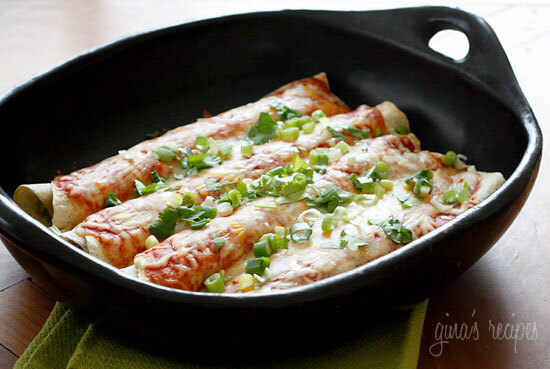 Cheesy meatless enchiladas filled with zucchini and cheese, topped with my homemade enchilada sauce –so delicious whether you are vegetarian or not. In a medium saucepan, spray oil and sauté garlic. Add chipotle chile , chili powder, cumin, broth, tomato sauce, salt and pepper. Bring to a boil. Reduce the heat to low and simmer for 5-10 minutes. Set aside until ready to use. Spray a baking dish with nonstick spray. Preheat oven to 400 degrees. In a medium nonstick skillet, sauté garlic and scallions in olive oil over medium heat for about 3 minutes; add zucchini, salt and pepper to taste and cook about 4-5 minutes. 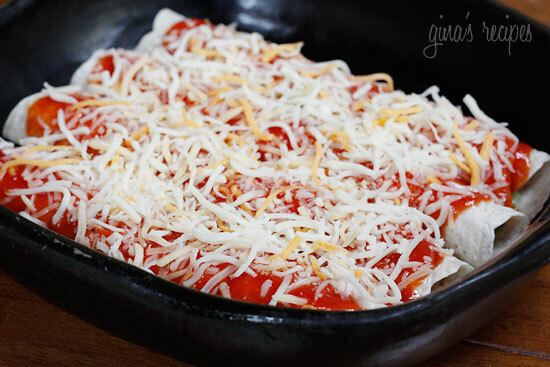 Remove from heat and add 1/2 cup cheese; mix well. 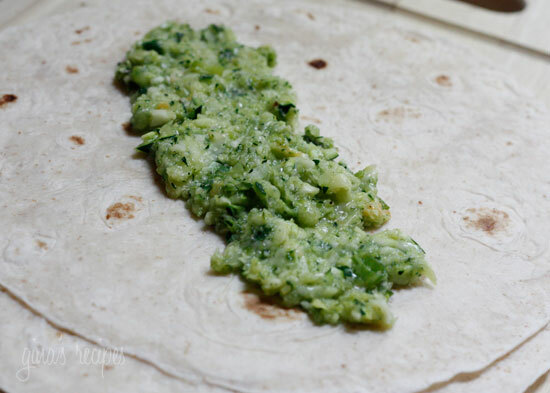 Divide zucchini between in each tortilla, roll and place seam side down in baking dish. Top with enchilada sauce (you might not use all) and remaining cheese and bake until hot and the cheese is melted, about 20 minutes. Serve with chopped cilantro, scallions, and reduced fat sour cream if you wish. Enjoy! !